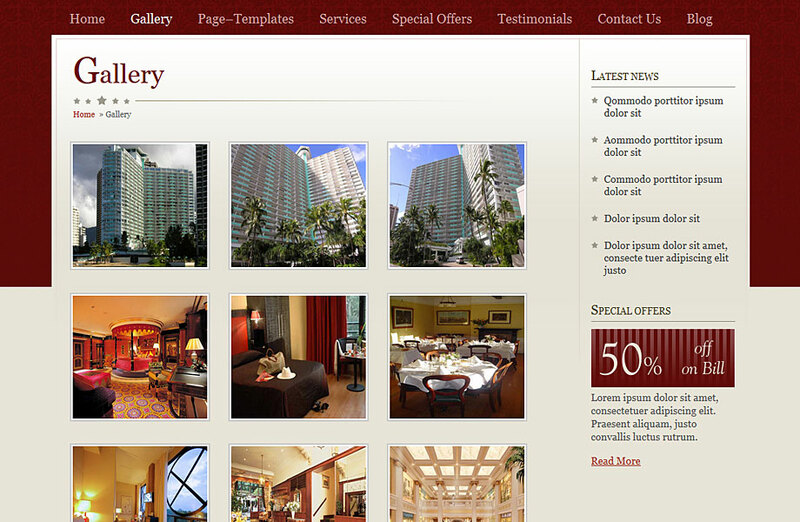 A ready to use premium website template for your hospitality business. 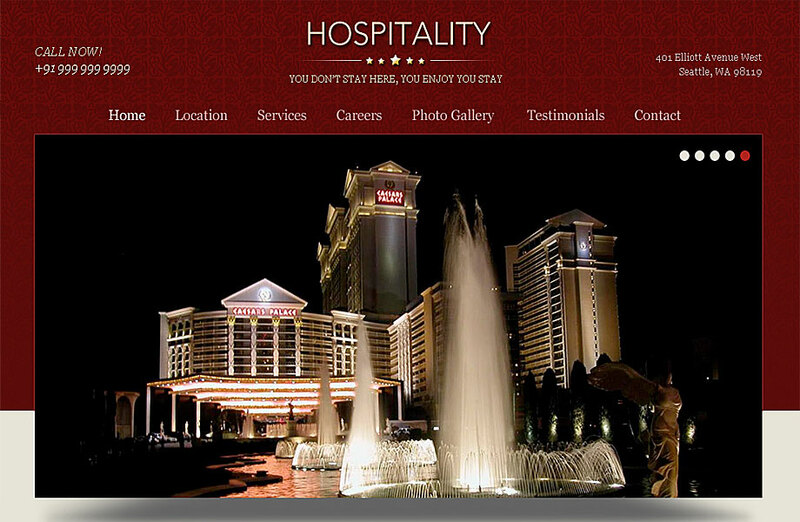 With our WordPress hospitality Theme you can build a professional website for your hospitality business like spa, hotel, wellness center, message parlour, etc. It includes all the necessary elements which are relevant to hospitality WordPress theme. The most beneficial feature is that you can add your own custom fields, very effortlessly, if some elements are not there by default. 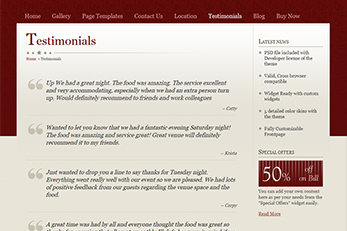 The homepage of your hospitality theme is completely customizable via custom dynamic widgets specifically built for the theme. This spa and salon theme has an easy-to-use, intuitive control panel that allows you to configure all aspects of your blog without touching the code. Translate this amazing hospitality business theme into your native language! 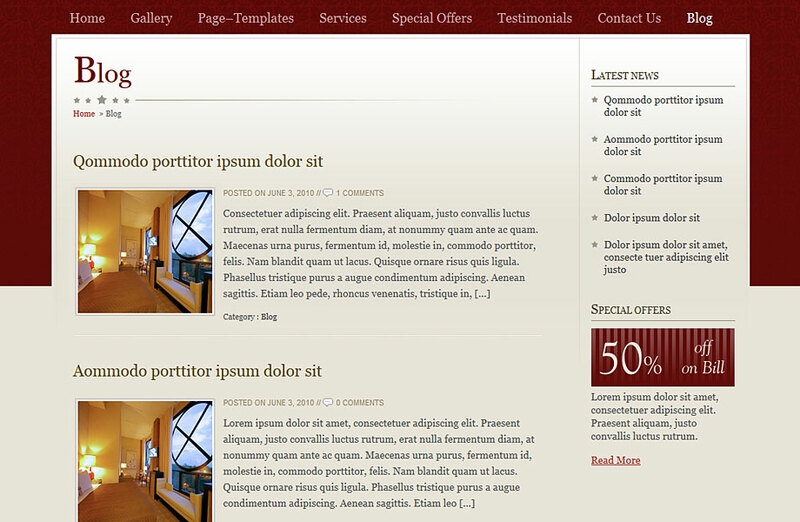 Native translations of all blog content can be done through the theme’s advanced control panel. 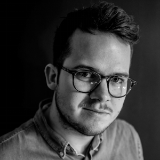 Install the WordPress hospitality script with just one click and get started with your website right away. Just another click to install the sample data and get your website looking like the demo instantly. Search Engine OptimizedOur hospitality WordPress theme is professionally coded in a way that gives your site maximum exposure to search engines. Widget Ready with custom widgetsThis hospitality WordPress theme fully supports WordPress widgets. But wait! We also include custom widgets specially made for our themes to get the most out of your blog!